Shift change; night shift giving report, day shift taking report, assignments made, notes completed, medications dispensed, treatments started, dressings changed, meals served, doctors on the floor wanting assistance. Along with this are patient call lights, alarms beeping for an IV fluid change in one room an EKG monitor in another room, the phone ringing, patient in the restroom pulling the alarm cord. Busy, chaotic and noisy, but the need to discern and respond to important patient information being transmitted by patient care devices and alarms can be critical. 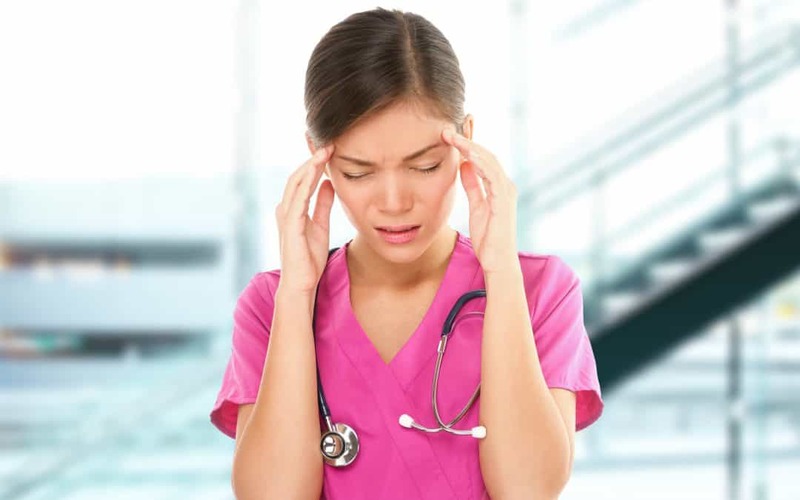 Alarm fatigue occurs when the nursing staff becomes desensitized to the high frequency of various alarms sounding on the hospital floor which can lead to missed alarms or a delayed response to alarms. Research has shown that 72% to 99% of clinical alarms are false. No wonder staff gets burned out running to rooms to address a critical situation that doesn’t exist and is merely a malfunctioning alarm. Patient deaths have been traced to alarm fatigue (Alarm Fatigue, A Patient Safety Concern; Sendelbach, Funk; ACCN Advanced Critical Care, 2013). The use of fall management systems in combination with nurse call systems can help prevent alarm fatigue. Reliable Curbell monitors are designed to reduce false alarms and unnecessary noise while alerting nursing staff to potentially dangerous falls or changes in patient condition. Incorporating alarms into the nurse call system reduces the noise level in the patient room. It also adds to patient safety by reducing the number of cords next to the hospital bed that can lead to tripping and falling. Curbell Fall Management Systems are designed to be sensitive enough to accurately report a change in patient status but not overly sensitive so that a false alarm has been generated. An example of this is Curbell’s BC400 Cordless Bed and Chair Monitor. This system incorporates a unique delay control that allows the patient to momentarily move off the monitor pad without generating a false alarm. This device also includes a pause feature that allows caregivers 30 seconds to reposition the patient without triggering the alarm. With the ability to directly connect to the nurse call system, this is technology at its best working to solve real patient care needs and staff efficiency. Recognizing that patient safety can be compromised if critical alarm signals are not properly managed, The Joint Commission released it’s 2014 National Patient Safely Goal on Alarm Management. This goal mandated leaders to establish alarm system safety as a hospital priority – to identify the most important alarms to manage, and to develop policies and procedures for managing alarms and educating staff. Curbell Fall Management Systems put institutions ahead of the curve in reducing alarm fatigue, and providing the highest level of patient care.